This category of posts is all about characteristics, traits, skills, and abilities that are needed in order to be an effective missionary for The Church of Jesus Christ of Latter-day Saints. 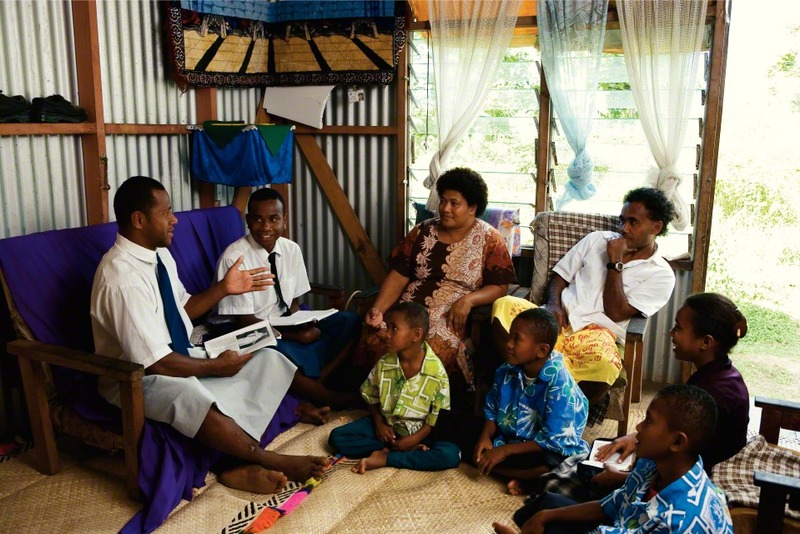 The success of a full-time missionary of The Church of Jesus Christ of Latter-day Saints is largely measured by their ability to find, teach, baptize, and confirm new members and to help them become faithful followers of Jesus Christ. 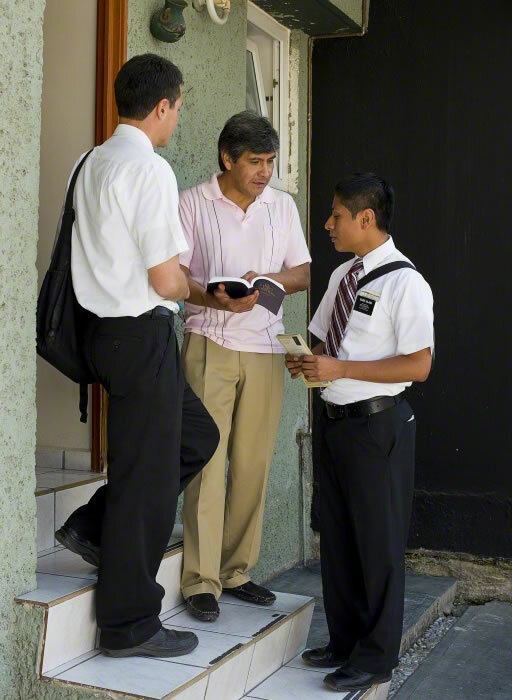 Mormon missionaries are generally young, they are mostly independent, companionships of two working alone each day in their assigned area, and therefore, a strict daily schedule and an exhaustive handbook of rules has been developed to help them be successful in reaching those goals. As missionaries obey with exactness, they will have the Lord’s Spirit more fully and they will be guided to the success the Lord desires for them. 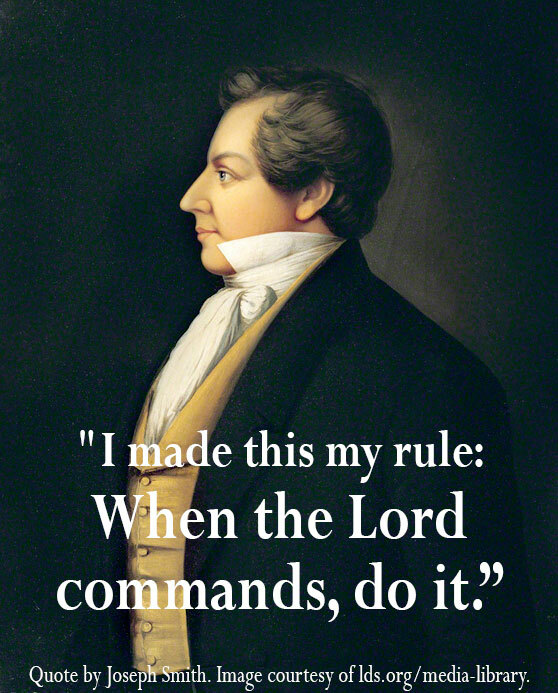 The mission rules and schedule can only help missionaries if they are obeyed. This is why missionaries hear repeated talks and lessons about the importance and blessings of obedience. And to drill in the point, missionaries are often taught about exact obedience, a phrase which comes from the Book of Mormon prophet Helaman in this recounting of the 2,000 stripling warriors. Said Helaman: “Yea, and they did obey and observe to perform every word of command with exactness” (Alma 57:21). And we know that due to their faith, bravery, and their exact obedience, though they fought in many battles, none of these 2,060 young men lost their lives. This is what the Church teaches missionaries in the Preach My Gospel (PMG) study guide: “As a missionary, you are expected to keep the commandments willingly, to obey mission rules, and to follow the counsel of your leaders. Obedience is the first law of heaven. It is an act of faith. You may sometimes be required to do things you do not completely understand. As you obey, you increase in faith, knowledge, wisdom, testimony, protection, and freedom. Strive to be obedient to the Lord, the living prophet, and your mission president” (PMG p. 122). I had the importance and blessings of obedience with exactness reinforce in me during my mission from the time I was in the MTC. As a result of an excellent lesson from an MTC teacher, I set a goal that stayed with me throughout my mission to work hard, obey, and love others. 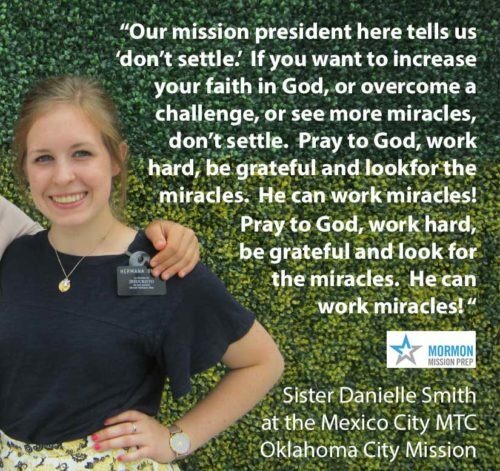 I was also lucky enough to have a great trainer in my first mission area who taught me through word and deed to keep the mission schedule and all the missionary rules and we were blessed with much success. 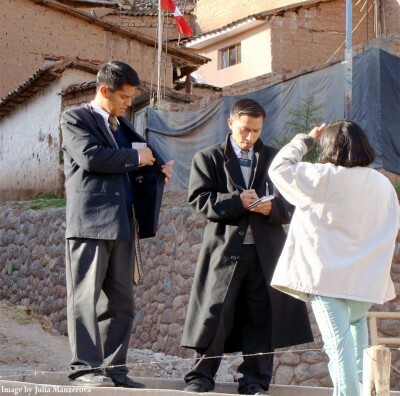 In another area in my mission, I learned the importance of exact obedience when, even though it was difficult, we left our apartment on time in the morning, and if we hadn’t, we would not have met Juan Carlos Lopez, who was converted and baptized. I know that the success I had as a missionary was a result of my efforts to be obedient to the commandments and the mission rules. Speaking to missionaries, Elder L. Tom Perry spoke of the blessings servants of the Lord can expect when they are obedient to mission rules. “The discipline contained in daily obedience and clean living and wholesome lives builds an armor around you of protection and safety from the temptations that beset you as you proceed through mortality” (Elder L. Tom Perry, “Called to Serve”, May 1991). “On the twenty-second of September, 1824, Joseph again visited the place where he found the plates the year previous; and supposing at this time that the only thing required, in order to possess them until the time for their translation, was to be able to keep the commandments of God—and he firmly believed he could keep every commandment which had been given him—he fully expected to carry them home with him. Therefore, having arrived at the place, and uncovering the plates, he put forth his hand and took them up, but, as he was taking them hence, the unhappy thought darted through his mind that probably there was something else in the box besides the plates, which would be of some pecuniary advantage to him. So, in the moment of excitement, he laid them down very carefully, for the purpose of covering the box, lest some one might happen to pass that way and get whatever there might be remaining in it. After covering it, he turned round to take the Record again, but behold it was gone, and where, he knew not, neither did he know the means by which it had been taken from him. “At this, as a natural consequence, he was much alarmed. He kneeled down and asked the Lord why the Record had been taken from him; upon which the angel of the Lord appeared to him, and told him that he had not done as he had been commanded, for in a former revelation he had been commanded not to lay the plates down, or put them for a moment out of his hands, until he got into the house and deposited them in a chest or trunk, having a good lock and key, and, contrary to this, he had laid them down with the view of securing some fancied or imaginary treasure that remained. Through this, and many other experiences throughout his early life, Joseph learned the importance of obeying with exactness. In fact, he made obedience his motto. Said he, “I made this my rule: When the Lord commands, do it” (History of the Church, 2:170). In conclusion, please know that as a missionary and throughout your life, perhaps the most important commandments from God are the ones you receive through the Holy Ghost. It is, then, equally important to obey the promptings of the Spirit with exactness, which is a principle recently taught by President Russell M. Nelson. He said, “My first recommendation is to learn for yourselves who you really are. Ask your Heavenly Father, in the name of Jesus Christ, how He feels about you and your mission here on earth. If you ask with real intent, over time the Spirit will whisper the life-changing truth to you. Record those impressions and review them often, and follow through with exactness. I promise you that when you begin to catch even a glimpse of how your Heavenly Father sees you and what He is counting on you to do for Him, your life will never be the same!” (Becoming True Millennials). 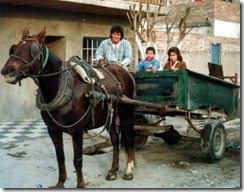 Learning a language as a missionary is a fantastic opportunity but it has its own challenges. Jimmy has shared a few thoughts of his experiences learning a new language and has given me the opportunity to share my own experiences and insights. I’d like to focus on how, much as we should be fearless in sharing the gospel, we should be fearless in speaking and practicing our mission language whenever possible. Why is practicing so important? Learning a new language isn’t like a spelling or history class, simply memorizing facts and rules and repeating them back. It is more like math, where you learn the rules but then need to practice to make sure you understand the rules and how to apply them. Perhaps comparing this to football would make this more interesting. As I never watched football until I was nearly 30 (soccer guy, myself) I’ve had to spend quite a bit of time trying to figure out the rules. Now that I feel confident that I know the rules, am I ready to play football? Not at all! I haven’t practiced, ever, and the few times I’ve thrown a football around show that the only thing I’m worse at than catching a football is throwing one. Knowing the rules, while essential, is only a single step at being good at something. If you want to speak the language, you need to learn the rules, then you need to get out there and practice. So why would we, when we have this fantastic opportunity to learn a new language, not be fearless in practicing? What’s holding us back? While there are many reasons, and nobody’s are the exact same, these are two that I’ve seen frequently in myself and others. You will make mistakes, there is absolutely no chance that you won’t. And because of that, it is expected not only by you but by those with whom you speak. They know you are learning and almost all will be incredibly patient and understanding. Most people also love to share what they know and are honored to help provide feedback and explanations of any difficulties in their language. But they can’t do so unless you speak with them and, just as importantly, make some mistakes with them. Religion is a controversial and sensitive topic and the additional difficulty of trying to discuss the gospel in another language can be daunting. I was often concerned that I would unintentionally say something offensive and turn people away from the gospel. I learned, however, that if the spirit was with us while we taught, we would not offend. When the spirit is in a conversation, that feeling of love will be felt by those with whom you speak. If you say something that is misunderstood or seems offensive, that feeling of love will let them know that you have no ill intentions. This will allow you, or your companion, to clarify what you meant or, in some cases, they will even gently correct you and tell you how to say what you meant. On occasion, things will go wrong. You will offend, you will meet mean people, and you will be embarrassed. In these rare instances, you will need to work through them with the help of the Spirit and your companion. However, as you continue to practice, you will be richly blessed and become a more powerful instrument in the hands of God. I was recently doing a project for work that required me to come up with a list of attributes or characteristics of Christ. It occurred to me that being Christ-like was an important part of becoming an effective missionary, so I thought I’d share the list. If the missionaries of the world could more fully adhere to these attributes of our Savior Jesus Christ, I have no doubt that the work of the Lord would accelerate. The Missionary Preparation Teacher Manual says this: “Christlike attributes help missionaries effectively teach the restored gospel. As we become more Christlike, we become more able to radiate gospel light to others. As we emulate the Savior, our actions and words encourage others to “take upon them the name of Jesus Christ” (D&C 20:37)” (see Chapter 14: Christlike Attributes, in the old manual). And the Missionary Preparation Student Manual adds this: “The Christlike attributes of effective missionaries allow investigators to witness the beauty of the restored gospel in the missionaries’ lives” (see Chapter 14: Christlike Attributes). 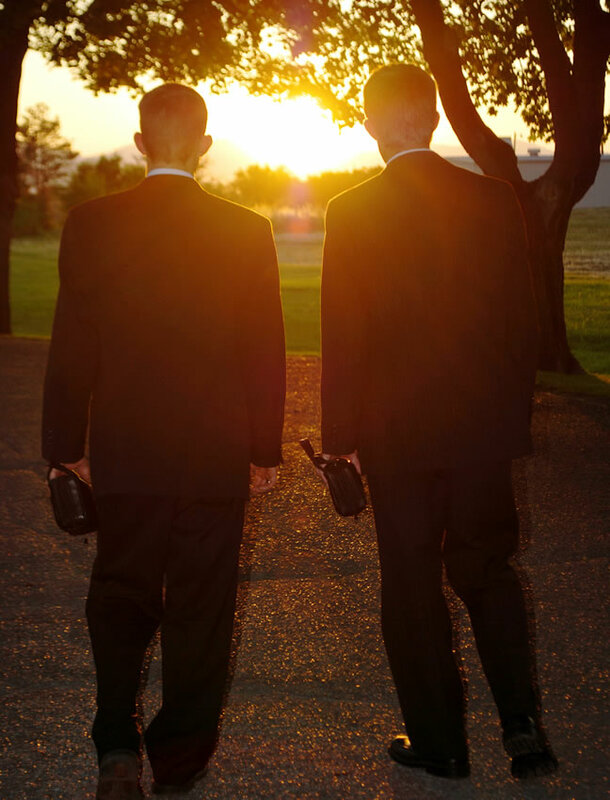 I hope that all missionaries can represent the Savior well, by taking on his attributes. I’ve come up with 103 characteristics of Christ so far. As I become aware of others, I’ll add them to the list. At church, I have often heard that we need to be prepared to step out of our comfort zone, and do the hard thing such as talking to a neighbor about the restored gospel of Jesus Christ or otherwise reaching out to other people in friendship. In fact, I have frequently discussed the need for missionaries to open their mouth at all times, a task that can require shy people to extend far beyond their social comfort zone. While I believe this comfort zone analogy is a fine teaching tool, I want to talk about a different kind of comfort zone today, one you should always stay inside. I’m referring to the comfort zone provided by the Holy Ghost. “But the Comforter, which is the Holy Ghost, whom the Father will send in my name, he shall teach you all things, and bring all things to your remembrance, whatsoever I have said unto you” (John 14:26). The comfort zone that I want to speak about today is the companionship of the Comforter, the Holy Ghost. The power of the Holy Ghost can be felt by all men and women on earth, if they choose to pay attention to the whisperings of the Spirit. The gift of the Holy Ghost is a more powerful manifestation of the Spirit, and brings with it great blessings. The gift of the Holy Ghost carries with it the right to have the companionship of the Holy Ghost, whenever one is worthy. Below are some reasons, and accompanying scriptural references, why every missionary (and member too) should want to stay in the comfort zone of the Holy Ghost. help you speak the right words. “And as ye shall lift up your voices by the Comforter, ye shall speak and prophesy as seemeth me good.” (D&C 42:16). As a missionary and representative of the Lord Jesus Christ, knowing the words that He wants you to speak is an indispensable gift if you are to succeed in your mandate to bring souls unto Christ. testify to your listeners of the Father and Son. “For, behold, the Comforter knoweth all things, and beareth record of the Father and of the Son” (D&C 42:17). As important as your personal testimony is as a missionary, it is the testimony of the Holy Spirit that converts. show you the way to go. “And I will send upon him the Comforter, which shall teach him the truth and the way whither he shall go” (D&C 79:2) Knowing where to go as a missionary is a priceless gift. Nearly every day you will have to make choices about what neighbor to knock, or what street to turn down, or what park to go do street contacting in. The guidance of the Spirit will lead you to the elect that God has prepared. fill you with hope and perfect love. “Because of meekness and lowliness of heart cometh the visitation of the Holy Ghost, which Comforter filleth with hope and perfect love, which love endureth by diligence unto prayer, until the end shall come, when all the saints shall dwell with God” (Moroni 8:26). 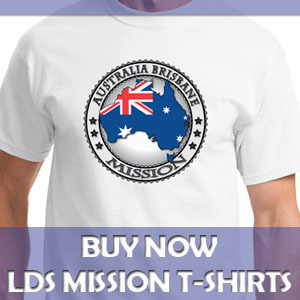 There will be times as a missionary when you will be tried and tested, by the people in your area, by your companion, or by other circumstances. Staying in the comport zone of the Holy Ghost will give you greater hope and help you love, perfectly, those around you. bring comfort and joy to your soul. On his mission to the Zoramites, the prophet Alma the Younger saw their wickedness and exclaimed, “O Lord, my heart is exceedingly sorrowful; wilt thou comfort my soul in Christ.” And then, the scripture says the Lord “gave them strength, that they should suffer no manner of afflictions, save it were swallowed up in the joy of Christ” (Alma 31: 31, 38). Home sickness, the pain of being rejected by yet another investigator, and other trials may cause you, as a missionary, exceeding sorrow. But know that those afflictions will be swallowed up in the joy of Christ if you stay in the comfort zone of the Spirit. teach you what the Lord wants for you. In 1832, Joseph Smith received a revelation from the Lord to the Elders of the Priesthood exhorting them to “[call] on the name of the Lord for the Comforter, which shall teach them all things that are expedient for them” (D&C 75:10). You will learn many lessons on your mission that will influence the remainder of your life. It is the Holy Ghost who will help teach you these lessons and help you to know what is the will of the Lord for you. Future missionaries, before, during, and after your mission, do what it takes to remain worthy of the companionship of the Holy Ghost. Always stay within that comfort zone. This means obeying the law of chastity, following the standards in the For the Strength of Youth pamphlet, reading your scriptures and praying daily, repenting when you make mistakes, and doing all other things to remain clean, pure, and worthy to serve a mission. If you do so, I know the blessings of the Lord mentioned above and many more will be poured down upon you by our loving Heavenly Father. As a full-time missionary, what is natural and normal will vary from what it is before or after your mission. On your mission, you have a calling, you have been set apart as a representative of Christ, you wear a white shirt and tie and a name tag, and therefore approaching strangers, opening your mouth, and having spontaneous religious discussions can be completely natural and normal. As a member spontaneous religious discussions with complete strangers would likely not be natural and normal. Natural and normal ways of sharing the gospel as an everyday church member do occur, but generally under different circumstances. “The work of naturally and normally sharing the gospel with those we care about and love will be the work and joy of our lives. Let me tell you about two such experiences. “…Sister Eileen Waite attended the same stake conference where Dave Orchard told of his conversion experience. Throughout the conference, all she could think of was her own family and particularly her sister, Michelle, who had long been away from the Church. Michelle was divorced and trying to raise four children. Eileen felt impressed to send her a copy of Elder M. Russell Ballard’s book Our Search for Happiness, together with her testimony, which she did. The very next week a friend told Eileen that she too had felt that she should contact Michelle. This friend also wrote Michelle a note, sharing her testimony and expressing her love. Isn’t it interesting how often the Spirit works on several people to help one in need? …The end of this story has not yet been written, but blessings have been given to this wonderful woman and her family as those who love her acted on a prompting and in a natural and normal way shared their testimony and invited her to come back. I have thought a lot about these two experiences. 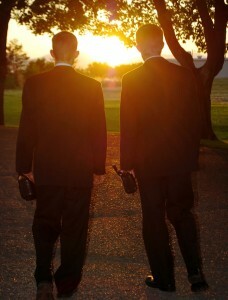 One young man who was working to put his own life in order helped another young man who was seeking the truth. One woman shared her testimony and her faith with her sister who had been away from the Church for 20 years. If we will pray and ask Heavenly Father who we can help and promise to act on the promptings He gives us letting us know how we can help, He will answer our prayers and we will become instruments in His hands to do His work. Acting in love upon the promptings given by the Spirit becomes the catalyst. 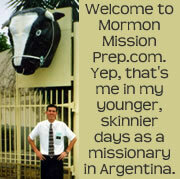 Not too long ago, I was out doing exchanges with the full-time missionaries in our area. We visited several investigators and new members. At the home of a member family, the missionaries taught a discussion to a non-member friend of one of the teenagers in the family. I was very impressed with the missionaries’ teaching skills. They had a mastery of the gospel doctrines and taught them with effectiveness to the young investigator. As the lesson was drawing to a close, I was expecting one of the missionaries to bear his testimony of the truthfulness of the principles taught, but he didn’t. Instead, he quickly wrapped up the lesson and asked for the closing prayer. As I sat through that closing prayer, my heart burned within me. I had felt the Spirit of the Lord with power throughout the lesson, and my heart ached to have the additional witness of a verbal testimony from someone in the room. The lesson seemed incomplete without that closing testimony. The importance of bearing testimony, especially for missionaries, was reinforced to me through that experience. When I think of the power inherent in bearing testimony, the story of Alma the younger comes to mind. Alma gave up his political/government role as chief judge in order to devote himself to the ministry and the building up of the church. 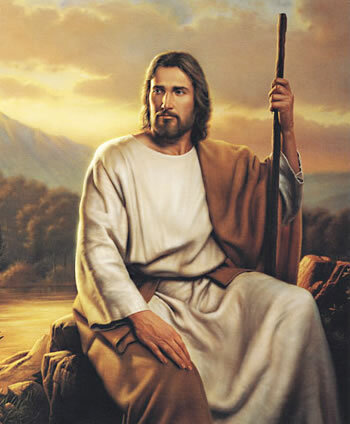 “And this he did that he himself might go forth among his people, or among the people of Nephi, that he might preach the word of God unto them, to stir them up in remembrance of their duty, and that he might pull down, by the word of God, all the pride and craftiness and all the contentions which were among his people, seeing no way that he might reclaim them save it were in bearing down in pure testimony against them” (Alma 4:19). Brigham Young once said: “If all the talent, tact, wisdom, and refinement of the world had been sent to me with the Book of Mormon, and had declared, in the most exalted of earthly eloquence, the truth of it, undertaking to prove it by learning and worldly wisdom, they would have been to me like smoke which arises only to vanish away. But when I saw a man without eloquence or talents for public speaking, who could only say, ‘I know by the power of the Holy Ghost that the Book of Mormon is true, that Joseph Smith is a Prophet of the Lord,’ the Holy Ghost proceeding from that individual illuminated my understanding, and a light, glory, and immortality were before me. I was encircled by them, filled with them, and I knew for myself that the testimony of the man was true” (Journal of Discourses, 1:90). Alma had learned that preaching, teaching and testifying “had a great tendency to lead the people to do that which was just—yea, it had had more powerful effect upon the minds of the people than the sword, or anything else” (see Alma 31:5). Peter, the Lord’s Apostle and leader of the Church after Christ’s ascension into Heaven, had also seen the powerful effects of testifying when on the day of Pentecost, 3,000 people were converted and baptized. In Acts 2: 36, Peter testifies of Jesus’ resurrection: “Therefore let all the house of Israel know assuredly, that God hath made that same Jesus, whom ye have crucified, both Lord and Christ.” Then in says in verse 37, “Now when they heard this, they were pricked in their heart, and said unto Peter and to the rest of the apostles, Men and brethren, what shall we do?” so Peter answered them, “Repent, and be baptized every one of you in the name of Jesus Christ for the remission of sins, and ye shall receive the gift of the Holy Ghost.” And “many other words did he testify.” Then, the scripture says, “they that gladly received his word were baptized: and the same day there were added unto them about three thousand souls” (verse 41). It was months ago when I published two articles on leadership: Part 1: Jesus, the Perfect Leader and Leadership Part 2: Captain Moroni. 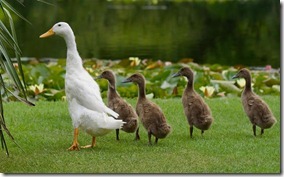 I meant at that time to also post a third article on leadership. I got a little side tracked, but I’m happy to finally present part three of my leadership series. This final portion on leadership comes from Elder Neal A. Maxwell’s 1967 talk entitled “Looking at Leadership” which used to be but is no longer posted on LDS.org and I hear it also appears in Maxwell’s book: “A More Excellent Way: Essays on Leadership for Latter-day Saints.” As with many of Elder Maxwell’s talks, much of it is over my head, so I know it may not be easy for pre-missionary-aged young people to understand. Still, these are important concepts in leadership, and with careful study, I think we can all learn to become more like Jesus, the perfect leader. Elder Maxwell talks about three basic leadership styles and how each has its advantages and weaknesses. “There is, first of all, manipulative leadership, ranging in its more sinister form from the Machiavellian kind on through to the kind of modest manipulation each of us at times may consciously or unconsciously practice on those around us. “Very often the talented directive person becomes very impatient with clumsiness and mediocrity in other people. The talented person may also bridle under the supervision of someone whom he believes to be inferior to himself. Abraham Maslow has observed: “When the pigeon bosses the eagle, the eagle is miserable.” But in a Church of eagles and pigeons, people need to learn to follow as well as how to lead, and there are times when pigeons temporarily lead eagles, and the eagle has a responsibility to learn from this experience as does the pigeon. 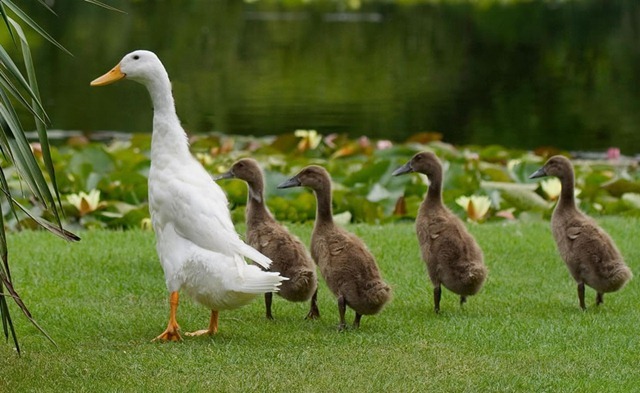 “A third kind of leadership is participative leadership in which members of the group share widely in decision making, in which the group is democratically run, in which procedures are adopted and traditions built to insure that this will be the case. This kind of leadership has these advantages: it often uses the talents, feelings, and facts of group members very effectively. It gives group members a chance to invest in goals and in problem solving so that there is greater group compliance and team work in obtaining these objectives. It often creates excellent conditions for individual growth. “Both experience and the scriptures suggest the need for a blend of leadership styles— directive and participative, in which these styles are used in those circumstances most appropriate for them. We have an unique blend in the Church of directive leadership and participative leadership in which everyone grows and everyone moves forward in terms of eternal goals. “There is ample opportunity—far more than we use—for us to become involved as leaders and followers in activities which will build the kingdom and also assist us to grow. We have more opportunities than we ever recognize to use our talents and to get our feelings and facts into the process of Church decision-making in those situations in which participative leadership is appropriate. . . .
Having and maintaining a positive attitude, even in the face of setbacks and rejection, is a vital trait for becoming an effective missionary. The Mormon mission experience has rightly been called the best two years. But, in a lot of ways, it is also the hardest two years. And perhaps it is because it is so hard at times that it causes missionaries to grow and develop and have experiences that shapes their lives and make it a formative, best two years. On your mission, there will be days (perhaps even weeks or months) where you feel like everyone is rejecting your message. You may feel like you are working so hard, and striving to be worthy, and trying to do the Lord’s will, yet you may not be seeing the fruits of your labor. That can certainly be discouraging. But the missionaries who are able to maintain a positive attitude throughout those trials are certain to bounce back quicker, be happier, and be more successful instruments in the hands of the Lord. Matt Biondi is one of the most decorated swimmers in US Olympic history. He swam in the 1984, 1988, and 1992 Summer Olympics, and won a total of 11 medals, 8 of them gold. But Biondi was also involved in a couple of the most notable defeats of any of the swimmers in the 1988 summer games. Coming into the 1988 Olympics in Seoul Korea, Biondi was touted as having a good chance at 7 gold medals. His first race was the 100 meter butterfly, which he was favored to win. Biondi made it to the finals and had the lead in the race, when he chose to glide the last few feet to the finish line, rather than taking another stroke, and was beat out for the gold. Biondi’s next race, the 200-meter freestyle, was another one he was favored to win. But he ended up coming in a disappointing third place. Many people wondered how Biondi would react, and if he would be able to bounce back from these discouraging setbacks. But a University of Pennsylvania psychologist named Martin Seligman didn’t wonder. Seligman had a theory that how people respond to setbacks—optimistically or pessimistically—is a fairly accurate indicator of how well they will succeed in sports and other kinds of work. Seligman tested his theory on Biondi and others of the U.S. Olympic swim team prior to the 1988 games. 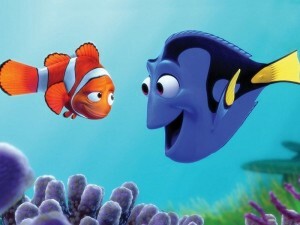 In the test, the coaches would tell the athletes that they had swum the event worse than they actually had. For example Matt Biondi swam the 100 fly in 50.2 seconds, but was told he swam it in 51.7. Disappointed, he swam it again a few minutes later, and swam it in 50.0 seconds. He got faster than his initial, seemingly disappointing, swim. Overall, the test showed that optimists either maintained or improved performance after a disappointment initial try. Pessimists, on the other hand, on average deteriorated by 2 seconds in a 100-yard event—generally the difference between first place and dead last. When you are involved in the work of the Lord and the building of God’s Kingdom, as missionaries are, you can expect opposition from the devil. The Book of Mormon prophet Lehi, in Second Nephi 2: 11 and 15, taught that opposition is to be expect, and that it is even necessary. Our Savior Jesus Christ, in Matt. 5: 10-11, taught us that we who are his followers can expect trials and persecution. “Blessed are they which are persecuted for righteousness’ sake: for theirs is the kingdom of heaven. Blessed are ye, when men shall revile you, and persecute you, and shall say all manner of evil against you falsely, for my sake.” If the Lord says that we are blessed for being persecuted, then I believe it. Having that attitude certainly help me stay positive in the face of rejections during my mission, and it will do the same for you. The choices we make and the attitudes we have in the face of trials and opposition determine what kind of missionary we are going to be. When a door is slammed in your face, when someone gives you a fake address (this happened all the time in Argentina), when you feel like nothing is going right, how will you react? Will you put a smile on your face, and keep moving forward with faith and hope in Christ? “Wherefore, there must be faith; and if there must be faith there must also be hope; and if there must be hope there must also be charity….And if ye have no hope ye must needs be in despair; and despair cometh because of iniquity.” (Moroni 10: 20, 22) If you ever find yourself in despair, which means to have no hope, remember that it is the Adversary, Satan, that wants you to get discouraged. So don’t let him do that to you! If you have charity, the pure love of Jesus Christ, in your heart, and if you truly feel that love for the people in your mission, you will have hope, and faith, and you will maintain a positive attitude, and you will be more successful. Anticipate misunderstandings as you prepare to teach. Understand what people really mean. Become one with the people. Note: This post on cultural literacy is part of the language learning series. You should strive to understand the unique culture of the people you are called to teach so that you can communicate the message of the Restoration in a way that will be clear to them. As you anticipate how the message will be received, based on your cultural understanding, you may make adjustments to the way you teach certain principles of the gospel. Then, when you teach people, they will understand what you are telling them in the context of their own culture and experience. Most people base their ideas of who God is on the culture in which they grow up. In my mission, we taught Muslims, Hindus, Catholics, and Evangelicals. Almost every religion I’d ever heard of thrived in my mission, as well as some I’d never heard of before. I quickly learned that when people talked to me about their feelings about God, if I didn’t have some basic understanding of their religion and culture, I wouldn’t know how to interpret what they were telling me. Once, the day after I was transferred to an island I’d never served on before, we were teaching a young woman who seemed very receptive to our message. She was very willing to believe that God is our Father and that Jesus Christ is our Savior. She readily believed the Joseph Smith story and our account of the Book of Mormon. We were excited that she seemed so receptive. We moved through the discussion, teaching principle after principle, thrilled as she accepted one doctrine after another. Needless to say, we were very surprised when she did not accept our invitation to read and pray about the Book of Mormon. That was when it hit me – the woman we’d taught earlier that day was polytheistic and willing to believe in many gods. She believed in our God because she didn’t want to offend Him, but that didn’t mean that she saw the need of changing anything about her life. She could fit the things we taught her right into her belief system. If I had known that when we were teaching her, I wouldn’t have been so puzzled by the situation and I could made it clear that we were bringing her something different. Then our invitations would have meant something. 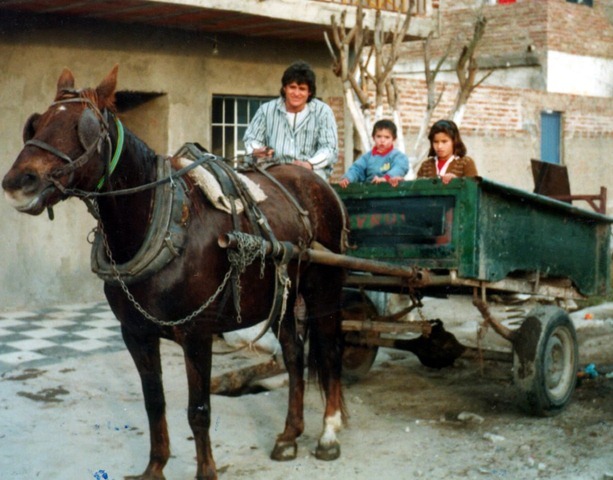 When I was in Argentina, I was amazed one day, several months into my mission, when I realized that instead of thinking in English and then translating my thoughts into Spanish, I was simply thinking in Spanish. From then on, my language abilities began to improve more rapidly. One of the greatest things you can do to gain people’s trust and admiration is to embrace their culture in appropriate ways. This has been the way of great missionaries since the apostle Paul in ancient times (1 Cor 9:20-22). Get to know the people among whom you serve. Strive to understand their background and values. Do not suppose that because you feel comfortable with the language and culture that that is sufficient. What is equally as important as you feeling comfortable with the language and culture, is that the people feel comfortable with you, your language, and your behavior. Also remember to always speak the mission language when you are in public. Speaking your native language with your companion when other people are around can be very impolite. Members and investigators will trust you more and you will have more opportunities to get to know them if you always speak their language in church meetings and other public venues. As you learn the culture of the people in your mission, as well as the language, you will become a more powerful instrument in the hands of the Lord.